Keep your lunch, safe and secure, at the right temperature, using the Budget Lunch Bag. The lunch bag is made from 210D polyester material, with PEVA lining. 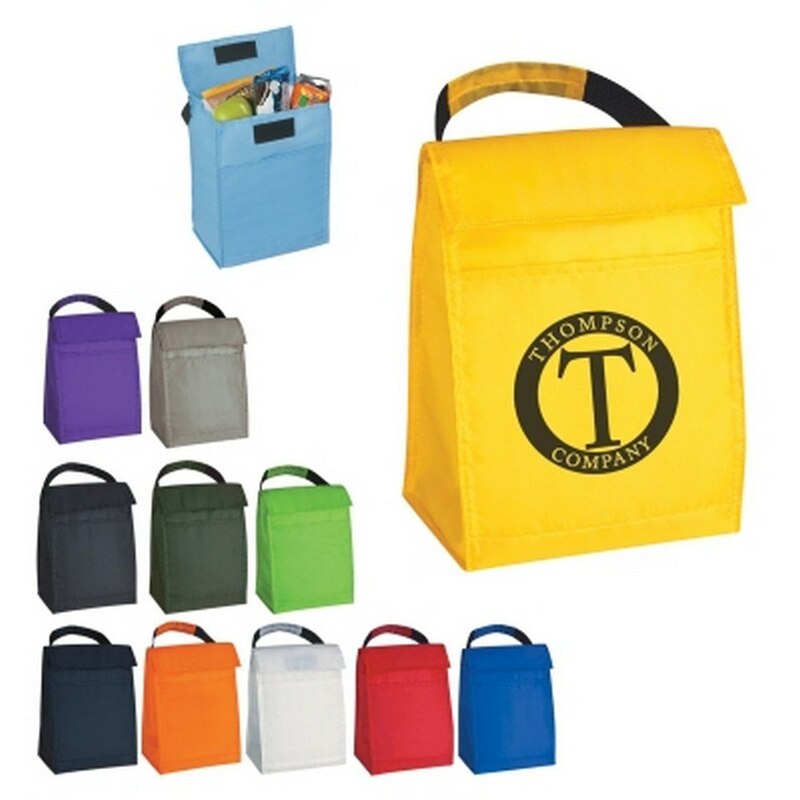 Keep your lunch, safe and secure, at the right temperature, using the Budget Lunch Bag. The lunch bag is made from 210D polyester material, with PEVA lining. It is insulated and features a Velcro® tab closure to retain optimum temperature. The front pocket provides additional storage. The nylon web carry handle enables easy transport. 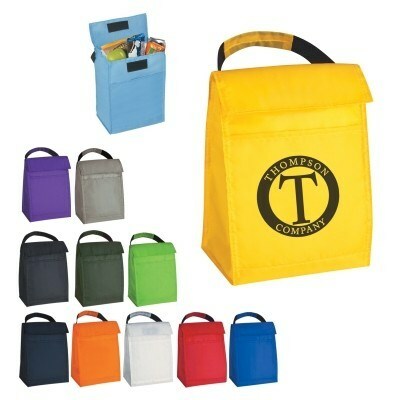 The lunch bag comes in a variety of attractive colors. Imprint your company’s logo on the bag and become an important part of your customer’s daily routine.